Late-round gems are the players that come through the system under the radar. When Joe Pavelski made his NHL debut in 2006-07, Sharks fans weren’t familiar with him yet. Pavelski was the 205th player taken in the 2003 NHL Entry Draft. The Wisconsin native is now a top-line star for Team Teal. Usually trades to acquire sixth and seventh round picks aren’t considered very newsworthy. However, finding a quality NHLer in the sixth round or later isn’t that uncommon. The Sharks have participated in 24 drafts since being born as an expansion franchise in 1991 and have drafted 10 key players in the sixth round or later. Here are those top-10 selections. Known to Sharks fans as “Smitty,” Mark Smith was a fan favorite role player during the first half of the 2000s. He was fast, tough and could score a goal here or there. His best season came in 2005-06 with nine goals and 24 points. 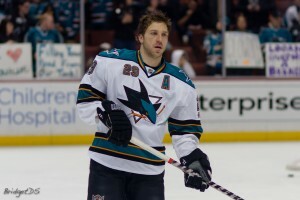 During the 2006 first round series against Nashville, Smith scored three goals in the Sharks’ five-game series victory. Current fourth liners like Mike Brown and John Scott could never score three goals in a playoff series. Despite being only 5 feet 10 inches, Smith was a frequent fighter, often dropping the gloves against guys who were bigger and stronger. Smith scored 23 goals and had 70 points in 377 career NHL games over parts of seven seasons after spending four years in junior and two full years in the AHL. Smith last played in the NHL with Calgary in the 2007-08 season. Demers sparkled in his rookie year as an unknown in 2009-10. Head coach Todd McLellan thought enough of him to play him on the top power-play unit to start his career. That bumped future Hall of Fame defenseman Rob Blake to the second unit. Demers only played in 51 NHL games as a rookie but scored four goals and added 17 assists for 21 points. 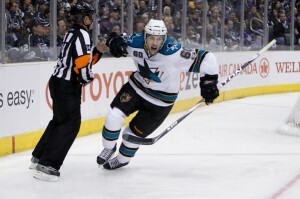 In his sophomore year, Demers made big strides defensively and despite not scoring as much, he was the best defender the Sharks had going in the 2011 playoffs. Unfortunately an ankle sprain caused him to miss the Western Conference Final. The following two regular seasons were a big regression. Demers became a part-time player until he rebounded in 2013-14. The Quebec native bounced back huge with a career year — 34 points and a solid plus-14 rating. Demers struggled again to start 2014-15 and was traded in November to the Dallas Stars. Demers has tallied 120 points in 361 games, with a plus-23 rating. After the trade, Demers went from being a minus-6 with just three points in 20 games to finishing with 22 points in 61 games and a plus-3 rating with Dallas. 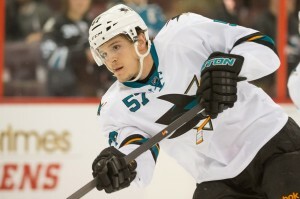 Known as “Korky” to Sharks fans, Alexander Korolyuk was a Russian speed demon that became an instant fan favorite. Unfortunately, Korolyuk left the NHL to go back to Russia and at one point, Sharks fans were teased that he was going to return but he never did. 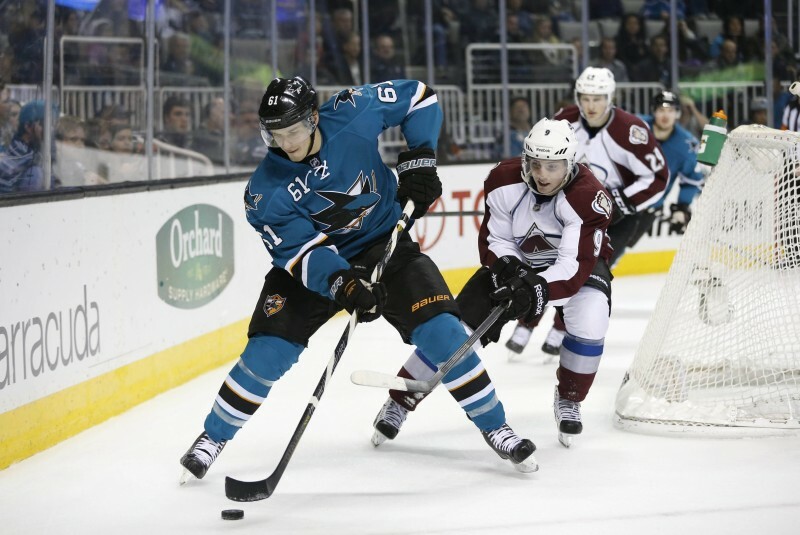 While his NHL career was brief, Korolyuk was a solid role-playing scorer with the Sharks. He tallied 12 goals and 30 points in 55 games as a rookie in 1998-99. The 38-year old hasn’t played in the NHL since 2003-04, but to this day is still playing in the KHL. In parts of six NHL seasons (all with San Jose), Korolyuk scored 62 goals and 80 assists for 142 points in 296 games. He may not be the biggest, he may not be the fastest, but Tommy Wingels is a coach’s dream role player. Wingels is above average in all areas: shooting, passing, defense, physical on the forecheck, hockey sense and disciplined. In his second and third full seasons (these past two years), Wingels scored 15 and 16 goals, providing some solid top-nine secondary scoring. For his career, the Illinois native has 39 goals and 96 points in 232 games. Wingels chips in on the second power-play unit and is a tremendous penalty killer. Did I mention he is a coach’s dream? He tried to get Dustin Brown to fight after Brown’s knee-on-knee hit injured Tomas Hertl. Wingels is also one of the best guys in the league off the ice. He is a board member for the You Can Play project. 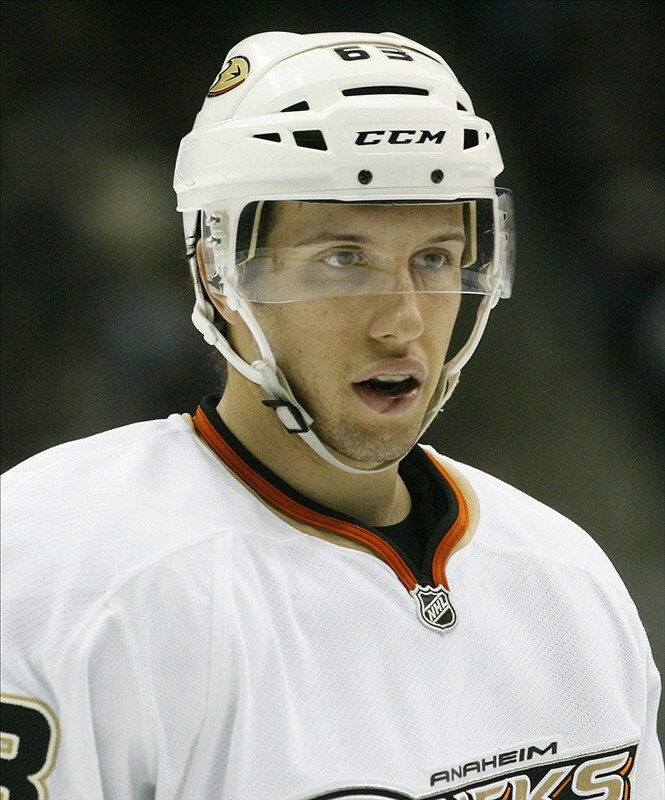 Current Vancouver Canucks center Nick Bonino never played an NHL game for the Sharks. He was traded to Anaheim in a deal involving Travis Moen shortly after being drafted. Bonino has gone on to have a solid NHL career. He broke out in 2013-14 with 22 goals and 49 points for the Ducks. The career year obliterated his previous NHL high of 18 points. This past season with the Vancouver Canucks was a step back from 2013-14, but still solid numbers for a top-nine center with 15 goals and 39 points. Moen didn’t last long in San Jose and neither did Kent Huskins. Dealing Bonino certainly wasn’t one of general manager Doug Wilson’s best moves. Bonino has tallied 121 points in 264 NHL games thus far. Justin Braun sparkled onto the NHL scene in 2010-11 as a call up from AHL Worcester. Braun showed solid defensive skills with a knack for getting his point shot through traffic. In just 28 games as a rookie, Braun tallied 11 points from his blue-line position. While his offense has tailed off in the years since, Braun has become a solid, two-way, defensively stout blue liner. In the lockout-shortened 2013 season and the 2013-14 season, Braun was one of the Sharks’ most reliable defensemen. Excellent speed and solid size at 6 feet 2 inches and 205 pounds, Braun normally has solid positioning and defensive awareness. He tracks back hard and has excellent stick position. A long reach allows him to break up opposing rushes on a regular basis. This past season was a bit of a regression, but most Sharks followers expect Braun to bounce back next season. Thus far in his career, Braun has tallied a respectable 69 points in 287 games. Douglas Murray’s rapid decline was tough to watch the last few years of his career. After being one of the longest of long shots to make it to the NHL, Murray had become a fan favorite. 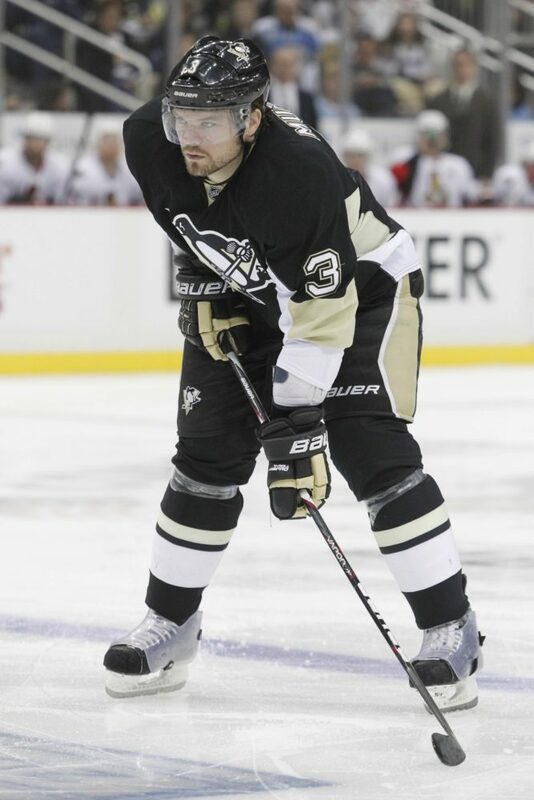 Nicknamed “Crankshaft,” Murray established himself as a solid top-four stay-at-home defenseman for multiple seasons alongside Dan Boyle. After being a key cog in San Jose’s back-to-back trips to the Western Conference Final back in 2010 and 2011, Murray was never the same. A few injuries didn’t help but just two years after 2011, Murray was seen as one of the worst defensemen in the league. The Sharks somehow were able to get Ray Shero and the Penguins to give up two second-round draft picks in exchange for Murray at the 2013 trade deadline. At that point, Murray was barely a sixth defenseman on a good team. Known for his huge hits, the hulking Swede will hopefully be remembered for his strong days with the Sharks and not his fall from grace. Murray played in 518 NHL games as a defensive specialist with 62 points. It should come as no surprise that all these guys drafted late seem to be some of the most well-liked guys in NHL dressing rooms. Ryane Clowe is no exception. It is quite unfortunate that concussions look to have prematurely ended the 32-year old’s NHL career. Clowe played just 13 games for the Devils this season after playing only 43 in his first season with New Jersey. The Newfoundland native also played briefly with the New York Rangers in 2013, but played most of his career with the Sharks. Another fan favorite, Clowe became one of the better power forwards in all of the NHL as a Shark. From 2008-09 through 2010-11, Clowe posted back-to-back-to-back career years. The gritty winger, one who never backed down from a fight, scored 52 points in 2008-09, 57 in 2009-10, and then 62 in 2010-11. Clowe fell off the following year with only 45 points before being traded to New York at the 2013 trade deadline, having gone 28 games with no goals and just 11 assists. Clowe has scored 112 goals and 309 points in 491 NHL games. 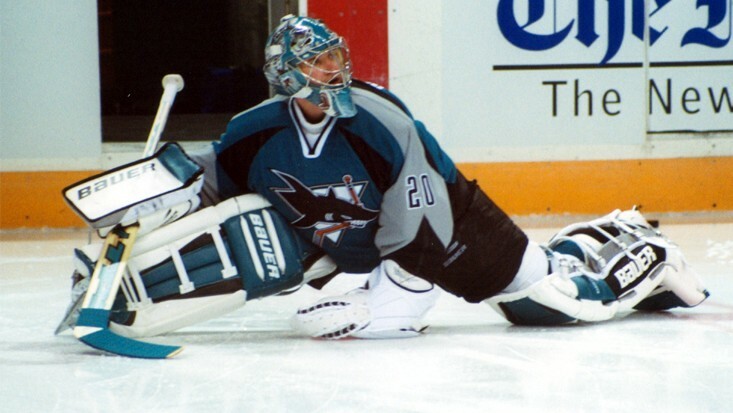 The best goaltender in Sharks franchise history is one Evgeni Nabkov. While the Sharks overused him towards the tail end of his career, causing some disappointing playoff results, Nabokov was a tremendous netminder for the large part of a decade. During that miracle 2003-04 run to the Western Conference Final, Nabokov turned in a brilliant .935 playoff save percentage behind a roster lacking in star power in front of him. Despite having his job briefly overtaken by Vesa Toskala during the 2005-06 season, Nabokov was the primary guy for the Sharks from 2000 through 2010. He remained solid every regular season for 10 years. Who knows how good Nabokov could have been in the later playoff years had he not been overworked, making 62 and 71 starts his final two years with the Sharks. For his career Nabokov is one of the all-time leaders in wins (355) and shutouts (59). His career .911 save percentage doesn’t sound all that great, but in his prime, he was as solid as they came between the pipes. In the star-studded 2003 draft, the Sharks found their star in the last round. Despite his smaller stature (5 feet 11 inches, 190 pounds), and average speed at best, his nickname is “The Big Pavelski.” That is about all you need to know when it comes to the two-time U.S. Olympian. A dynamite power-play scorer, an elite penalty killer, and a terrific even-strength possession player, Pavelski does it all. Even when playing away from Joe Thornton’s wing, Pavelski has had terrific success. He isn’t a 40-goal scorer without Thornton, but he has the ability to morph into a 25-goal, 40-assist type play-making center when playing a third-line center role. The Wisconsin native has some of the best hockey awareness that cannot be taught. Always in the right place at the right time, Pavelski seems to have the puck following him around the ice. For his career, Pavelski now has 228 goals and 485 points in 643 NHL games. Barring injury, he is well on his way to over 300 goals, 700 points and 1,000 games for a player taken in the seventh round. One of the Sharks’ all-time greats was taken after 204 of his peers. They may not seem like noteworthy trades at the time, but you never know when picking up those extra sixth or seventh round picks are going to pay off down the line. The Sharks have had 10 quality NHLers drafted in the sixth round or later in 24 drafts. One quality NHLer every 2.4 years isn’t bad at all.